Our beloved cats are killing machines that take down 200 million birds in Canada a year, one study found. To reduce the carnage, a new campaign asks cat owners not to let their cats roam free outside — a move they say will benefit our feline friends as well. Our beloved cats are killing machines that take down some 200 million birds a year in Canada, one study found. And now a new campaign is asking cat owners to help reduce the carnage by promising not to let their cats roam free outside — a move they say will benefit our feline friends as well. Cats are by far the leading human-linked cause of death for birds in Canada, reported a 2013 Environment Canada report that estimated 200 million bird deaths a year from pet and feral cats across the country. And outdoor life is also a deadly and unnecessary risk for cats, says Ted Cheskey, senior manager of the conservation group Nature Canada. 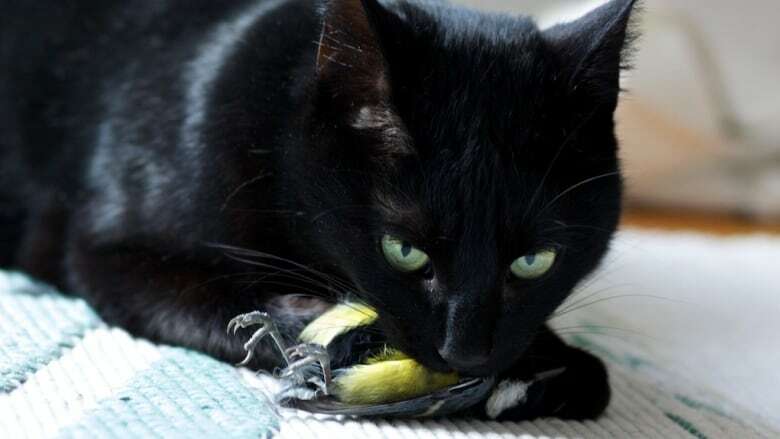 "Both cat and bird populations are in different sorts of trouble," he said. Today, Nature Canada launched its "Keep Cats Safe and Save Birds Lives" campaign, which is asking cat owners to make an online pledge not to let their cats roam free outdoors. Each pledge could save an average of 16 birds a year, Nature Canada estimates. It plans to keep a running tally of "saved" birds online. 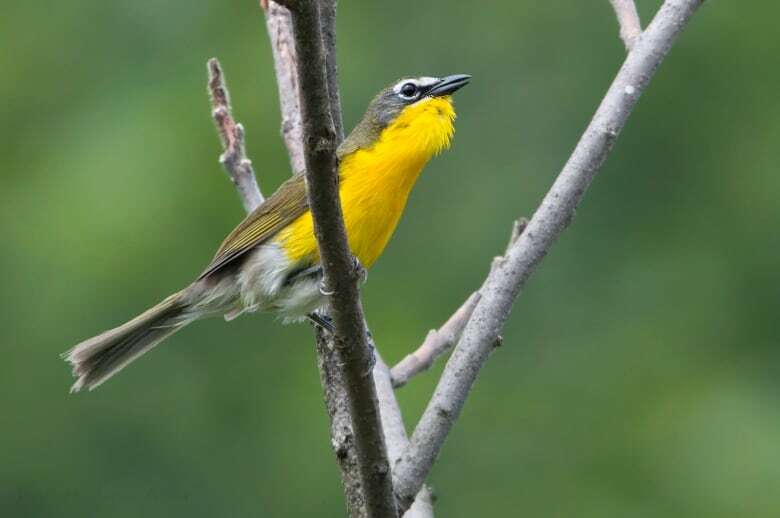 The campaign is expected to have the most impact on species that spend time on the ground, including some of the ones at risk, such as the wood thrush and the yellow-breasted chat, and common backyard visitors such as American tree sparrows and dark-eyed juncos. But the campaign is also expected to save a lot of cats, which are vulnerable to being run over by cars and eaten by predators when they roam outside. Nature Canada notes that the City of Toronto alone picked up 1,300 dead cats off its streets. The city reports another 1,842 cats were euthanized in 2014. Cheskey acknowledges that the proposal is controversial, but he says that it was just as controversial a century ago to suggest that we stop letting dogs roam free. "We just don't see that anymore. And the municipalities aren't picking up run-over dogs," he said. Still, some cats' families say a pledge to keep felines from roaming outside may not be possible for everyone to keep. "I think it depends on the nature of the cat," said Sharon Sterling, who wanted very much for her black cat Mingus to be an indoor cat. But Mingus, who was neutered and very bonded to people, was constantly trying to run outside. "He'd be on the window sill howling to get out. He'd be scratching the sliding glass doors... He was definitely destroying the house as well," Sterling said. But the main issue, she said was more her cat's unhappiness. She tried putting him on a leash, but "he'd scream and roll on his back and slash at the leash." When he was three months old, she finally gave up and let him out. "He loved it outside," she recalled. "He went hours climbing up and down trees." He also preyed enthusiastically on birds and rodents. Attaching different kinds of bells to his collar didn't seem to make a difference. "He was a little killing machine and it was awful," said Sterling, who once managed to rescue a full-grown robin that Mingus had taken down. Then, when he was about a year old, Mingus disappeared. Sterling thinks he was likely eaten by a predator. It was so heartbreaking that she doesn't plan to get another cat. Still, she doesn't regret letting Mingus outside. "He had the life he wanted," she said. Randy Valpy, the "top dog" at pet insurance firm Pets Plus Us, also used to let his cats roam outdoors. But after his black cat Boo was killed by a wild animal, and his grey cat Max was hit by a car the same night, he resolved to keep his remaining cats indoors. 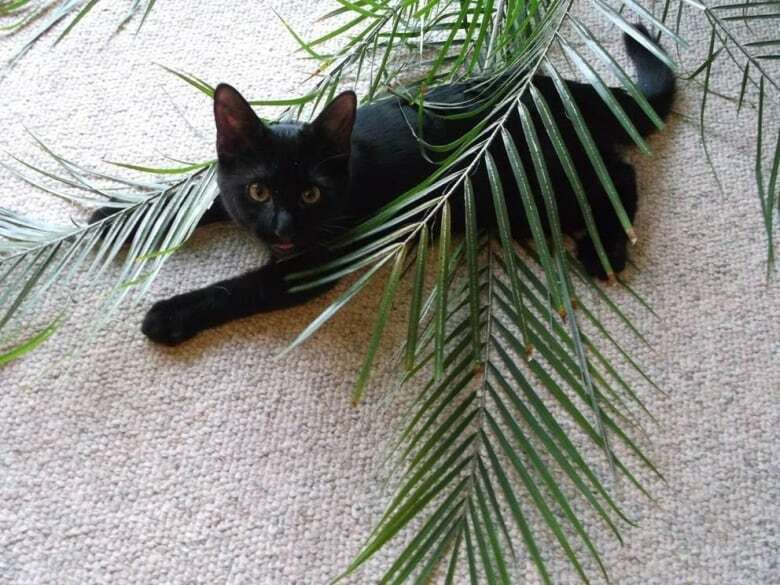 Now he believes in the no-roaming cause so much that Pets Plus Us is among the companies sponsoring Nature Canada's new three-year campaign, providing both financial support and using its social media networks to reach cat owners. The company's Oakville, Ont., office has its own indoor cat, Bruin, who enjoys watching the squirrels and birds feeder outdoors from a special window seat. "He's quite entertained without actually having to going outside and pick a fight with one of them," Valpy says. Cat owners can also install outdoor pens and sometimes train their cat to use a leash, he suggests. And cats can play with feathered toys indoors instead of killing real birds. But Valpy understands what cats are like when they want to go outside. "They're relentless and the easiest thing to do is to give up," he said. "But if you create an outdoor environment for them that's safe, that's the best of both worlds." The new campaign is also backed by Canadian author Margaret Atwood, a cat lover who also serves as president of the Rare Bird Club for Birdlife International. She will be writing and publishing three graphic novels for the campaign starting this September.